Extreme contractor series, 10.5 SCFM 40PSI. Runs great. Missing axle and wheel in front. Missing the 4 rubber feet. 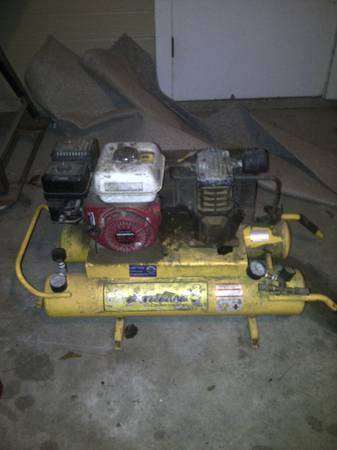 CH Extreme Contractor Series 4 gallon 3 hp max air compressor. Used very little.